This flower combo might be the perfect way to embrace the intense color of these prolific Calibrachoa bloomers. Get ready to be impressed by the heat tolerance and zest for life. 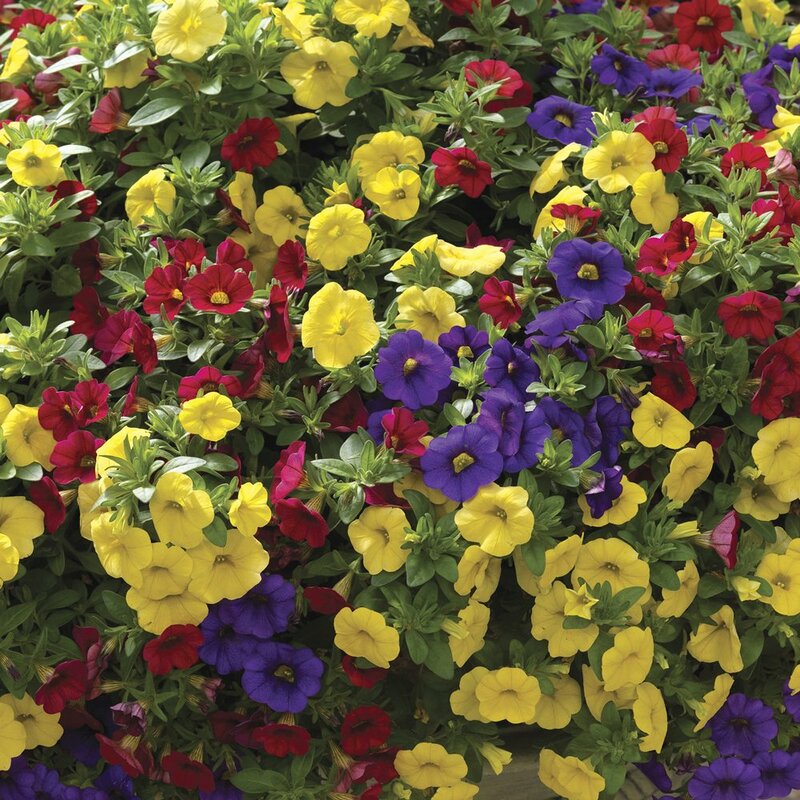 Simply choose your container and watch as these mini petunias grow like crazy! 1 plant combo to fill a container up to 10-inches in diameter. 1 or 2 combos to fill a container that is 12 to 14-inches in diameter. 2 or 3 combos to fill a container larger than 16-inches in diameter. The plants in our 'Kwik Kombo Callie Color Wheel Improved' plants are grown and shipped in fine quality growing medium and are guaranteed to arrive alive and ready to thrive. Be aware that the actual appearance when planted may vary slightly from the photograph. "Love the recipe for hanging baskets"
Comment: Variety in hanging baskets, and the sorting done for you, got to love this idea. All are growing well and some blooms in about a week.